The report from the European Commission looks the costs and supports associated with higher education in 42 European countries. THIRD-LEVEL STUDENTS in Ireland pay the second highest fees in Europe, according to a new report. The UK has the highest tuition costs out of all the countries, with Ireland second. The report focuses on “first cycle” or undergraduate higher education courses. In Ireland, undergraduate students have to pay fees of €3,000 every year – this has risen significantly over the past decade. Post-graduate students have to pay full tuition fees set by higher education institutions themselves and which can reach up to €30,000 a year. There are needs-based grants (like the Susi grant) available to students depending of means, family size, nationality and previous academic attainment and distance from institutions. There are no student loans or family allowances available. In the England, undergraduate fees are set by institutions and capped at £9,250. Students do not have to pay up front and can apply for a tuition fee loan to cover the full fee. 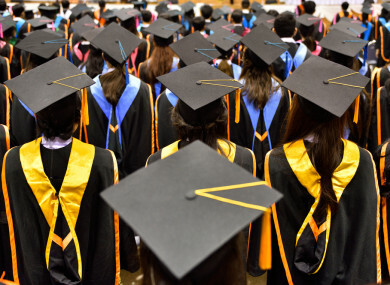 The report finds that 11 countries pay no fees at all for first time undergraduates. These include Finland, Greece, Denmark and Germany. A further 14 education systems charge students less than €1,000. Countries like Spain, Italy, the Netherlands, Poland, and Portugal all charge students between €1,000 and €2,000. Email “Ireland has the second highest third-level fees in Europe”. Feedback on “Ireland has the second highest third-level fees in Europe”.